The Nigeria Football Federation has reportedly opened talks with Sweden women’s national team coach Pia Sundhage to take over as coach of the Super Falcons. Sundhage was on the Swedish bench as the Falcons came back from 2-0 down to force the more-fancied Europeans to a 3-3 draw in their opening Group D game of the 2015 World Cup in Canada. 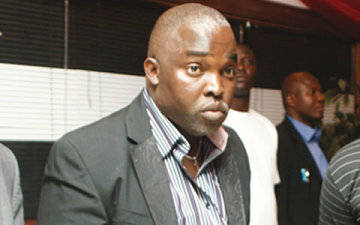 “Top officials are keen to have the highly-rated coach take over the Falcons,” an NFF official was quoted as saying by AfricanFootball.com. However, the fate of present coach of the women’s national team, Edwin Okon, is unknown, as officials of the federation did not disclose if he would be given the boot or made to work with the Swede if employed by the NFF. Okon has been criticised for lacking the technical quality to head the technical crew of the Falcons, despite winning the 2014 African Women Championship. After an outstanding performance in the thrilling 3-3 draw against the Swedes, the Falcons’ excesses were exposed in their second Group D game against Australia, which they lost 2-0. The African champions struggled to match the more creative Aussies and were dealt a huge blow, thus putting their qualification hopes to the knockout stage for the first time in 16 years, into jeopardy. “We don’t know yet, if Okon will play any role under Sundhage, if she agrees to manage the Falcons. That has not been decided yet. But the team needs a new coach to manage the new set of young players in the team, who are the future of women’s football in Nigeria,” an official said. If Sundhage gets the job, it will not be the first time the Falcons would be managed by an expatriate coach, though the team’s technical crew has largely been headed by local coaches. Former Super Eagles coach, Bonfrere Jo, a Dutchman, and German Thomas Obliers had previously managed the record African champions. Sundhage, the 2012 FIFA World Coach of the Year, won two Olympic gold medals with the United States women national team in 2008 and 2012. She was also in charge of the American women, when they lost the final of the 2011 Women’s World Cup to Japan. As a manager, she’s also won the Four Nations Tournament (2008 and 2011), the Algarve Cup (2008, 2010 and 2011), while she was named the 2003 WUSA Coach of the Year. The 55-year-old was handed the Sweden national team job in 2012 after agreeing a four-year deal with the Swedish FA. Her first major tournament with the Swedes was the 2013 European championship, which Sweden hosted, but Sundhage’s team lost 1-0 in the semi-final to eventual winners Germany.